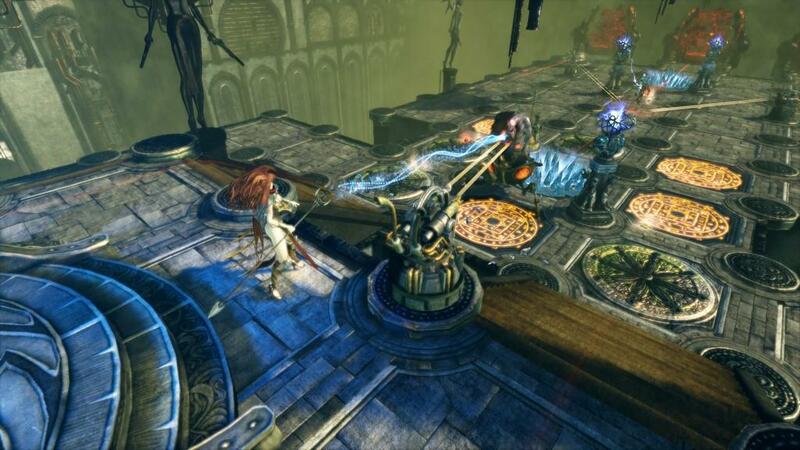 Tower defense games usually limit the gameplay interaction to placing traps and then watching the strategy execute without any sort of player intervention once in process. 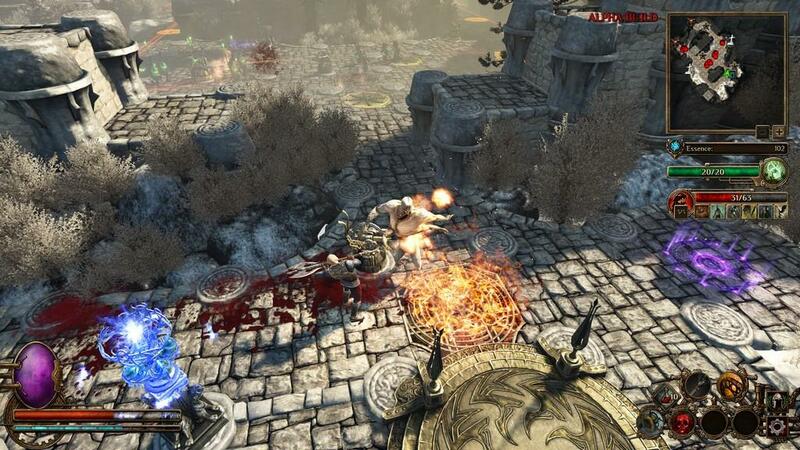 Deathtrap changes the genre's formula by adding action role-playing elements that allow for the player to control their character during rounds and earn loot for better equipment and weapons. 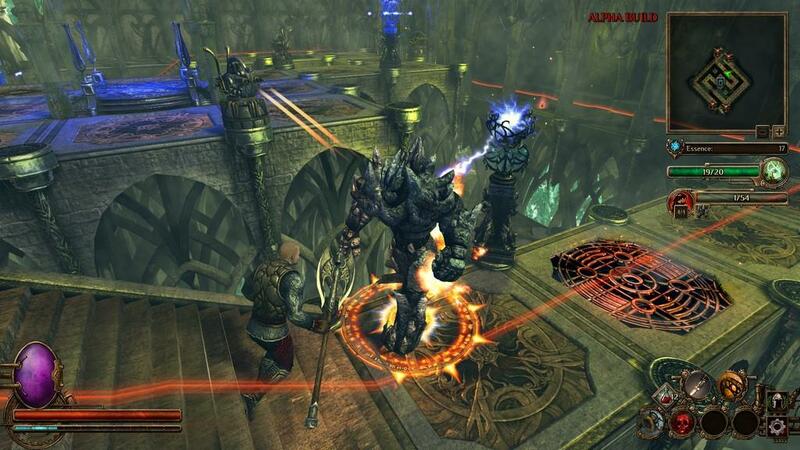 In addition, players can level their characters and acquire additional powers and skills. 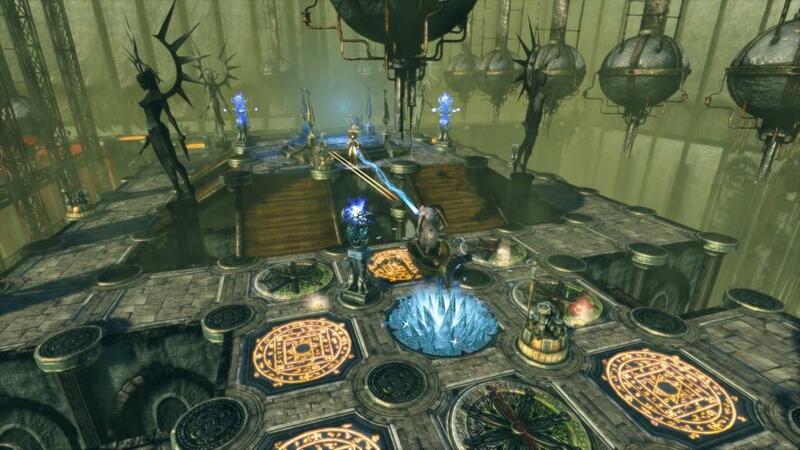 Players with experience of The Incredible Adventures of Van Helsing series will be familiar with the setting of Deathtrap. While taking place in the same universe, players act as defenders to prevent monsters of the void from reaching portals to the everyday world. Also of similar nature to the Van Helsing series is the inclusion of character classes, which include the Mercenary, Sorceress, and Marksman. The Mercenary focuses on close quarters combat with melee weapons, the Sorceress utilizes spells and staffs in combat, and the Marksman confronts battles at long range with guns. After each successful mission, players earn a loot chest that provides items ranging from new armor and weapons to amulets and runes. Gold is also earned that can be used to purchased new items from a store in-between missions. As well, item recipes can be learned to craft better equipment. The campaign structure of Deathtrap follows the model of other tower defense games in which players move along a map from one location to the next, each becoming more difficult and introducing new traps. Each map location can be played in three different game modes including campaign, scenario, and endless. In campaign mode, players can select from three difficulties that reward various star ratings. 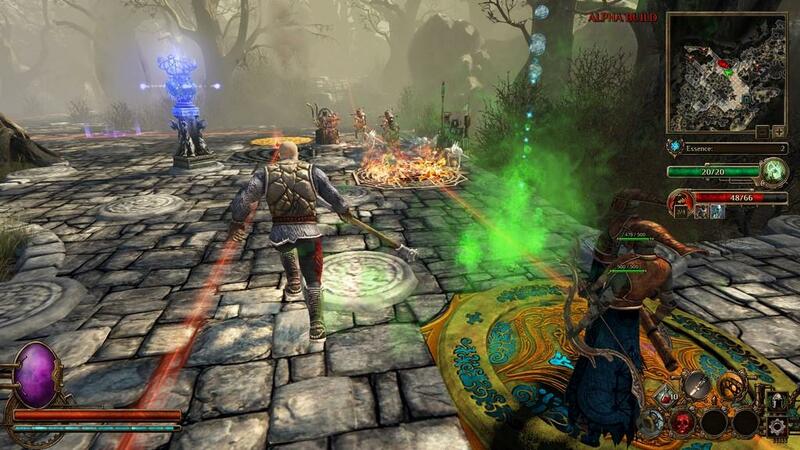 In scenario mode, players can customize map conditions such as monster difficulty and trap effectiveness. In endless mode, players test their endurance and skill to see how many waves they can last for earning a top leaderboard score. Additional map locations are unlocked when players complete the game that provide infinite playgrounds to both progress the 100 experience levels and earn more than 50 skills for each class. 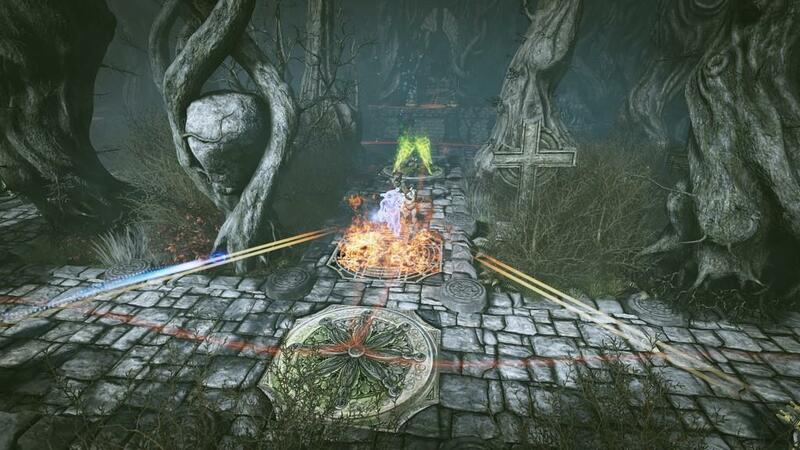 As the game's name suggests, a core component of gameplay involves the use of traps that can be placed in pre-defined locations around maps. The game includes 25 traps and over 150 upgrades that can be unlocked from campaign progression. Traps range in variety including mystical and mechanical ground traps, mystical and mechanical towers, and summoning pits and cages. Mystical traps utilize effects such as fire and lightning while mechanical ones utilize guns and spears. As with other games in the tower defense genre, the strategy for success lies in combining the best sets of traps that work together in preventing enemies from reaching the map's bases. 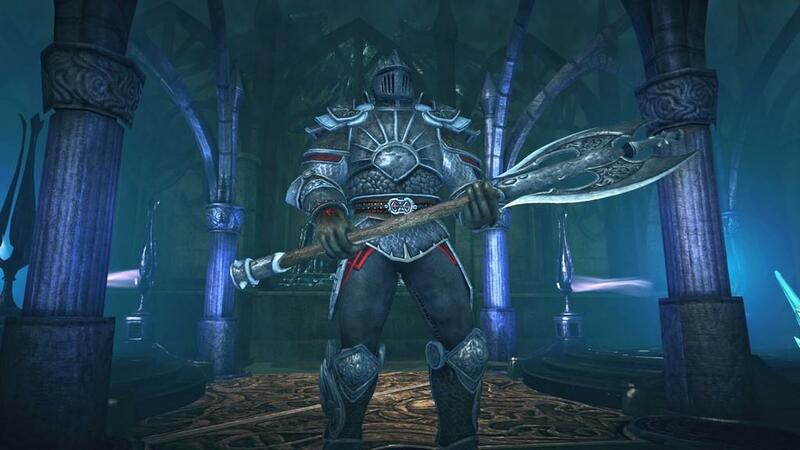 The game's casual difficulty works well for genre newcomers by letting players focus more on combat than setting the correct combination of traps. While the combination of tower defense and role-playing gameplay genres works surprisingly well, neither introduce anything new or innovative that hasn't been seen before. The role-playing element suffers a lack of variety in loot that reduces the impact on player progression. Once the various monsters have been introduced, their tactics don't seem to change that frequently making some gameplay situations seem less dynamic. These issues will most likely only be noticed by veterans of tower defense and role-playing genres, while casual players won't have any concern with them. Deathtrap introduces a much welcome change to the tower defense genre by introducing a whole another layer of player interaction with role-playing elements including experience levels, various powers and skills, loot system, and three distinct character classes. For extended playability, each of the map locations contain campaign, scenario, and endless modes for truly endless gameplay. In addition, players can create and share content using an included editor and download community creations with Steam Workshop support. Deathtrap perfectly combines the gameplay of tower defense and role-playing that shouldn't be missed by fans of either genre.